Active carbon filters are key to job security in all related sanding and paint work. We have the safest market carbon filters, We let teach you our prices economic? Is no doubt that within the systems of industrial protection systems or equipment of autonomous respiration (breathing air system) are key to the respiratory protection of workers. They are no doubt very important accessories, We must never let it aside. Call us now for asesorale on the best equipment of protection and their prices, sure we are surprised you! 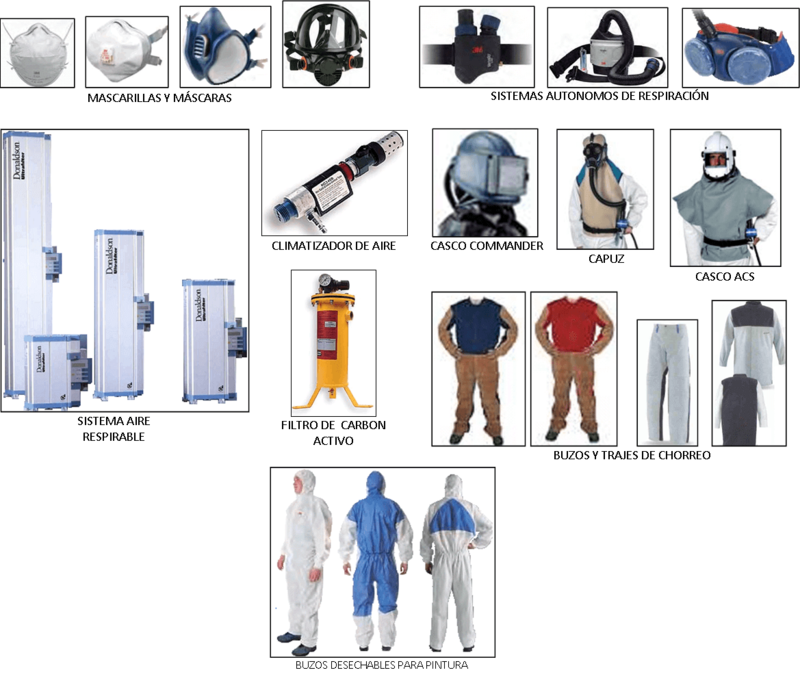 Extensive range of equipment and elements for individual respiratory protection, the equipment most suitable for surface preparation processes, painting, blasting and sanding. Disposable masks, masks with interchangeable filters, self-contained breathing equipment, helmets with positive pressure, breathing air systems, air conditioners, active carbon filter. Etc. Divers from sandblasting, Divers for paint, gloves, non-toxic hose, etc.